Make a centre square. This can be any measurement you like and can be cut from one fabric or pieced fabric, strips of fabric, orphan blocks, mosaic patchwork (more usually referred to as English Paper Piecing). Make a reference diagram for yourself that looks like this and note down what you would like the centre measurement (shaded area) to be. 2. Add the first frame. 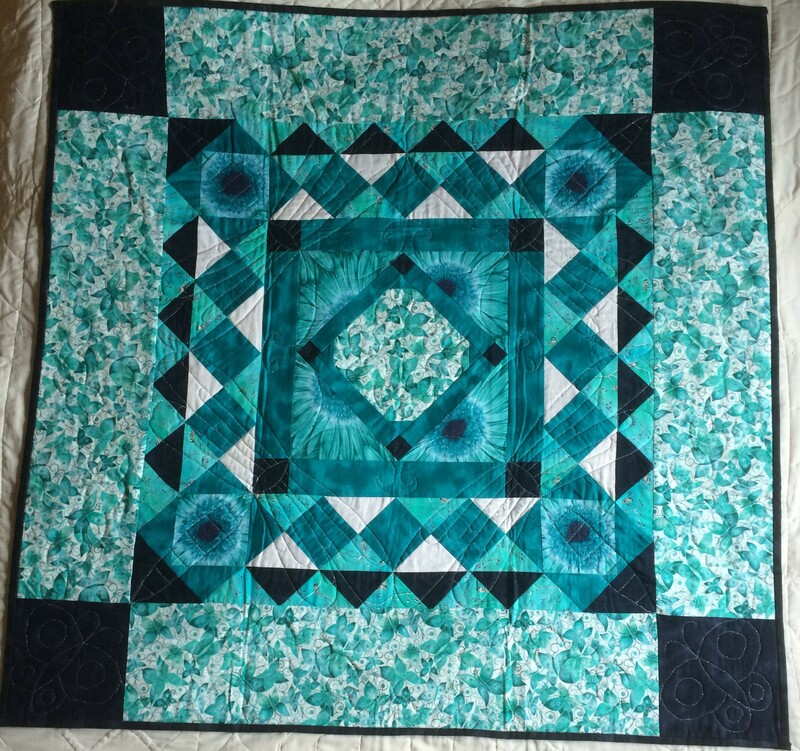 This can be any depth you like and can be one fabric or pieced or pieced units. Note down the depth you have chosen on your reference diagram. Measure your centre square and take care to cut the 4 frame strips to this measurement. Measure and cut 4 squares to the same measurement as the strip depth – these will be the cornerstones. Stitch, press and trim. Measure the new square and make a note of it on your reference diagram. 3. Add the second frame. This can be any depth you like and can be one fabric, several fabrics, pieced units. Make a note of this measurement on the reference diagram. Measure the new centre square and cut the frame strips to this measurement. Cut 4 squares to the same strip depth measurement for the cornerstones for this frame. Stitch, press and trim. Measure the new square and note it down. 4. Add the third frame. 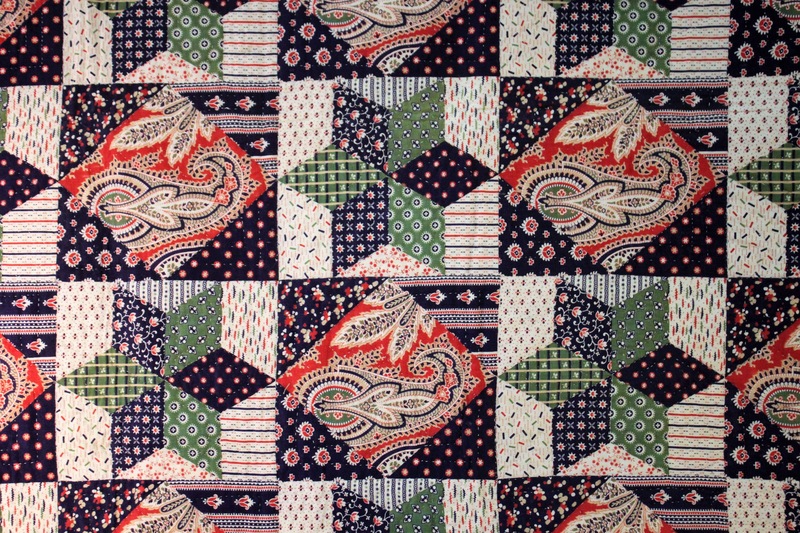 Again, this can be any depth you like and can be one fabric, several fabrics, pieced units. Make a note of the depth measurement as in previous steps. Measure the centre square at the end of the previous step and cut the strips for this frame to this measurement. Also cut 4 squares of the correct depth measurement for the cornerstones. Stitch, press and trim. Measure the new square and make a note. Continue in this sequence until you reach a size that suits your needs. And that’s it!! You are making the decisions, you are not following a pattern. So everything is cut and pieced to fit the measurements of your work rather than working with measurements determined by someone else. You can make things easier for yourself by ensuring that each time you want to make a pieced border the measurements are a number that is easily divisible – not a prime number – in other words, if you want to put four-inch finished units/blocks in the border then the length of that border needs to be a number that can be divided by four. 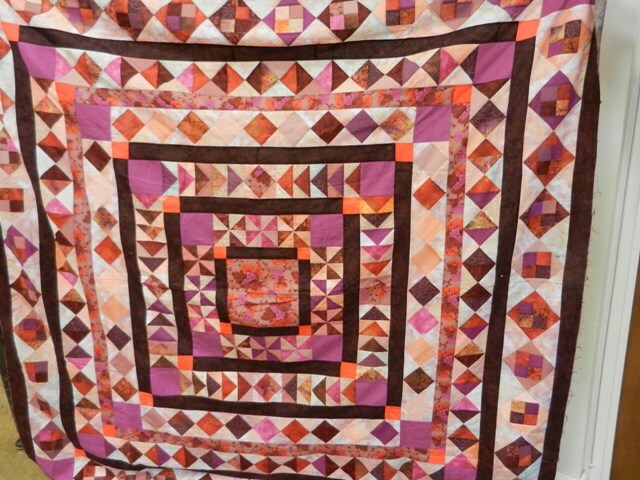 Unless you do what previous generation of quilters have done and mutter ‘oh bother’ when you get to the end and the border doesn’t fit, and either chop a bit off the last piece or add an extra bit of fabric. Those of us who like symmetry and neatness need to work things out first, those who are happy to go with the flow and improvise just add or subtract bits until everything (more or less) fits.